Through fun and interesting activities with contents that are in line with school syllabus, the programme helps to improve students’ perceptions towards Mathematics and make learning enjoyable. Helps students improve their understanding of basic Mathematics concepts, which will help them to achieve better examination results. Revises concepts learnt during normal curriculum in a fun and innovative way to reinforce concepts. Classes start off with a topic-related game or brain teaser. The aim is to tune the students into the programme with interest. Being topic-related, the game indirectly reviews the concepts of the topic before the remediation. Where appropriate, the games come with variations to cater to the different abilities groups. This module aims to provide appropriate remedial work in specific topics. Heavy computation will NOT be given emphasis. The students will be taught appropriate skills and strategies in problem solving. Here, the students proceed from an example or recapitulation stage, through a guided learning stage, to a practice stage. The worksheets are designed to cater to 2 or 3 different abilities groups. Hands-on learning aids and manipulatives may be provided to help lower abilities groups. We recognise that one of the major stumbling blocks to Mathematics achievement is the failure to maintain speed and accuracy with the basic multiplication, division and number bonds facts. This module is a test of both speed and accuracy to encourage improvement. Classes will end off with another game or brain teaser. 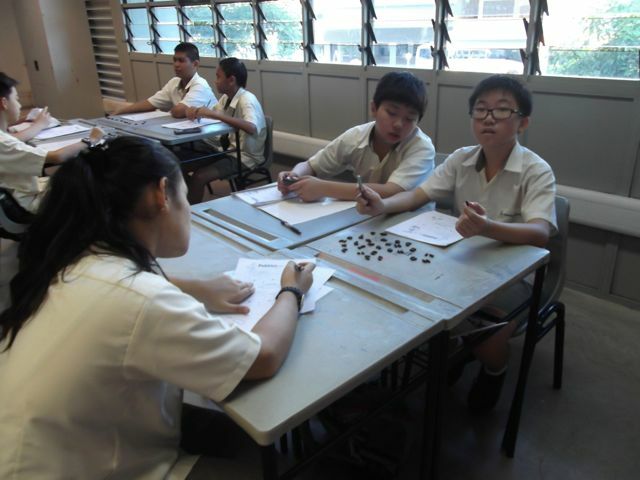 The aim is to boost the students’ confidence in basic mathematics skills. This module will be provided upon request for an add-on. The aim is to expose students, especially higher ability students, on problems that are related to the 4 Big Mathematics ideas (Numeracy, Number Patterns, Modelling and Visualisation).